When I had brown hair in the good old internship days, my hair was exposed with the sun everyday for a good 3 months. At the first week, I noticed that my hair was a lot more coarse than before. So when I had a bit of free time, I found my self in the drugstore trying to find something to make my hair less coarse. 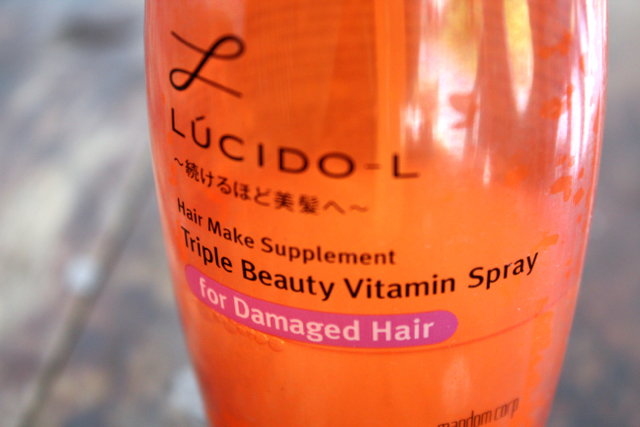 Then I stumbled upon this hair vitamin spray, legitimately encountered this product so many times that I immediately reading through the ingredients of this vitamin spray, I found Vitamin A, Vitamin C, Vitamin E and Olive Oil. Satisfied with what I read, I purchased them in a heart beat. Soon as I wash my hair (I washed my hair everyday because I had to walk, drenched in sun rays, pollution, and not to mention sweat, everyday. 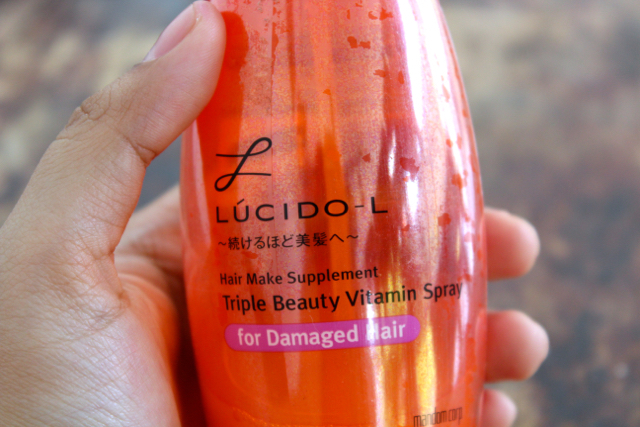 My hair just felt gross, hence my hair was already damaged from hair dye, added to that from sun exposure but also with the constant washing), I generously sprayed my damp hair layer by layer with this product and combed it thoroughly from mid shaft to ends of my hair (the floral scent this product has made my hair smelt so good). After approximately 10 days, the result surfaced. I was happy with the condition of my hair. It was smooth (not as smooth as it used to be, but a great improvement from the condition my hair was prior to using the vitamin spray), easier to manage, less tangled, and my hair stayed in an OK condition for 2 days (so i washed my hair less often). 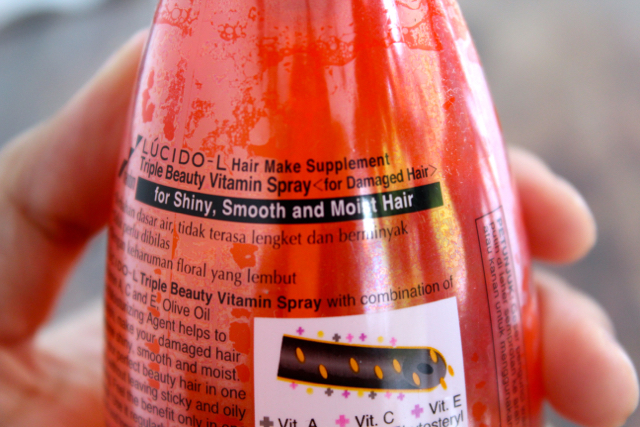 To be honest after 4 months of using this product, my hair got resistant to this vitamin's greatness. It became stiff and coarse, but then again, my hair tend to do that (I have to switch up my shampoo and conditioner every 3 months to keep it strong and smooth, just like how I like my hair to be). The good news is, this bottle lasts a really long time and I still haven't finished it yet (I used this product after washing my hair 3x a week max. from September to December and every now and then from January to present)! This review is kinda late but I went to my stash and found this product. I guess, it's better late than never!! I'm glad it worked out for you, it sounds like a really good product!